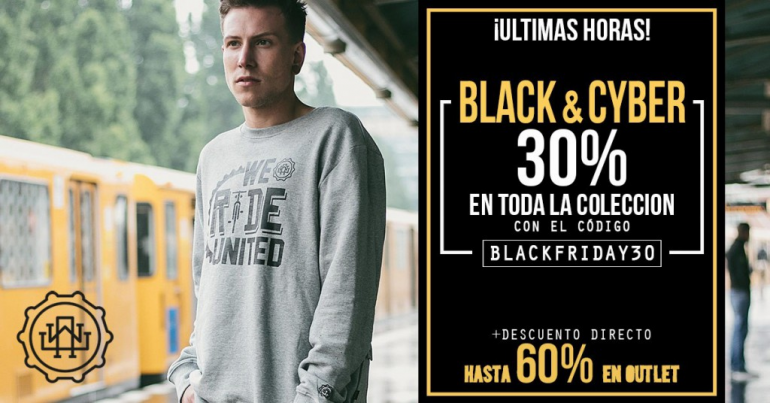 Home » Dropshipping » Black Friday 2018, discover how to increase your sales! A black future has never been so promising… Prepare your ecommerce, Black Friday is coming! It is undoubtedly one of those times of year when it’s worth going overboard and surrendering to a date made by and for businesses. If you have a dropshipping store, it is time for it to realise its potential. We’ll tell you how to increase your sales for Black Friday 2018! There is no doubt that Black Friday is the ultimate discount event. This day, marked in the calendar of an increasing number of businesses, is the day which marks the beginning of the Christmas shopping season in the United States. And, why is it called Black Friday? There are different theories, but the most accepted suggests that it is the moment in which business accounts go from being in the “red” to being in the “black”. A great day for any business. Back in 2010, only 8 years ago, the American company with the little apple symbol imported this tradition, creating a celebration which has been getting more popular year after year. Nowadays, it is so integrated into the minds of consumers that there are even tricks and strategies to find the best bargains. And Cyber Monday, which is nothing more than an extension of Black Friday, emerged as a good day to encourage online shopping, with great results up to now. 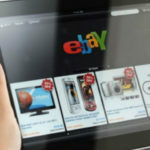 The figures speak for themselves: according to Netrica, in 2017 figures shot up during Black Friday and Cyber Monday, with an increase of 32.8% on orders from desktop computers and of conversion rates by 4.4%, the most desirable numbers for any day of the year. However, the most shocking figures came from marketplaces such as Amazon and eBay, with 48.2% of total product sales concentrated on these days of the campaign, although it is necessary to mention that Amazon stood out above the rest, another reason to have Amazon dropshipping among your main strategies. Bear this in mind! And what does Black Friday 2018 have in store? We have good news for the most sceptical amongst you; in the event How to successfully put digital strategies into practice for Black Friday by Making Science, there was a figure that resonated in all assistant’s ears, and that is the prediction of a 13% increase in sales compared to Black Friday last year. In summary, keep this figure in mind: searches carried out with the words “Black Friday” and “Cyber Monday” have multiplied by 14 times in the last 4 years. Taking advantage of Black Friday to increase the sales of your dropshipping store is quite simple – and recommendable – if you follow certain guidelines. We’ll tell you what these are below. Best selling products. Although it’s never taking too far to extend offers to other categories, it is often more profitable to focus on what consumers demand. According to experts, the most popular categories last year were Electronics, Fashion and Make-up, with special emphasis on televisions, laptops and consoles, particularly the PlayStation 4. 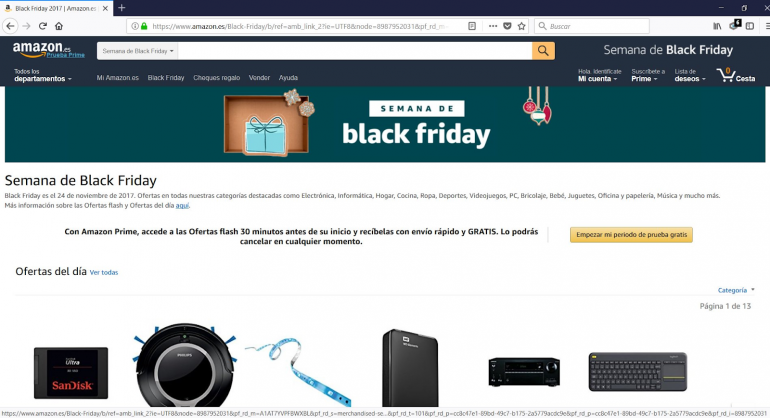 Sales also stood out for products such as the Conga Excellence robot vacuum cleaner, smartwatches and memory cards.As you can see, technology is the Queen during these days of discounts, so focusing the promotions of your dropshipping store on these categories is a sure way to increase your sales this Black Friday. Discover all the options in our wide range with thousands of recommendations such as wholesale computing and electronics. A question of time. 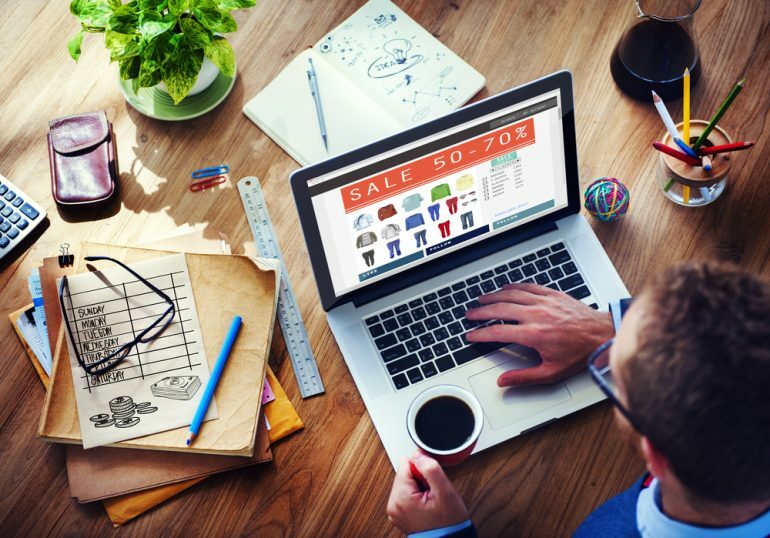 As often happens, foresight can prevent errors and unnecessary haste, so take your time and prepare your ecommerce for Black Friday and Cyber Monday in advance. Ideally, you would have decided on your strategy at least two weeks in advance, so get to work! Given that, with our dropshipping service, you don’t need to worry about logistics and stock, focus your efforts on creating the best discounts and, above all, on how to communicate them to your customers. However, you need to keep time in mind during the entire process. So before doing anything else, you should decide how many days you will offer the discounts for. Our experience has shown us that you should ideally maintain the promotions for at least the 4 days between Black Friday and Cyber Monday, but you are totally free to decide if you extend or reduce these times. One thing is for sure, don’t underestimate Cyber Monday. In terms of technology it is a key day to increase your sales. Ideas for your promotions. As well as the essential discounts, it is a question of using your imagination and creativity. At BigBuy we provide some hints so that you can take full advantage of this period.-Offer discounts with vouchers, free delivery, 3×2…or all of the combinations you think are attractive, even though they may not particularly profitable for you. Keep in mind that it is a way to gain loyalty and to get yourself known, then you will increase the margins in the Christmas campaign. 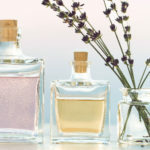 Ideally, you should give customers the feeling they are buying unique bargains that they can’t miss out on. In addition, top ecommerces take advantage of this period to capture leads, leaving the profitability of the order itself on the back burner during these promotions.- Accompany offers with pricing strategies. A simple way to create urgency in the buying process is to create decreasing offers, so the discount decreases with each day. – Create combinations or packages of special products for this period: they will have a much lower price than if bought separately and, in this way, you will be compensated for the low margin with an increased spend of the average order. – Reward loyalty and give your top customers a treat: send them a unique discount that they can’t refuse. – Take advantage of up-selling and cross-selling in your ecommerce. There is no better opportunity than offering something for free, or something that is superior to what the consumer wants. Think of the best cross-sales, apply a small discount and start to sell items that were less successful before. – It’s the ideal time to incorporate new products and/or categories with amazing discounts. Being new and on offer is a perfect combination! – Another great option is to squeeze the juice out of social networks with competitions before Black Friday. Launch the million dollar question to your followers and you will see which product they would like to see discounted, you’ll win for sure! – Important! Many of these options are very simple to carry out in PrestaShop, simply by accessing the Catalogue > Price section or by creating personalised vouchers; the process is very intuitive and, if you have difficulty, you have plugins which will help you enormously in the configuration of your tactics. So you have no excuse not to start to apply them now. – Prepare your email marketing campaign in advance and don’t be scared to be insistent, you won’t be the only one! Furthermore, it is an excellent excuse to be able to extend your list of subscribers and take advantage of these leads in your future strategies. A trick: Personalise emails if possible and make your customer feel special. – Don’t be scared to increase investment in advertising, but do it carefully. In these cases where your margin will be lower, it is recommended that you opt for re-marketing on Google Ads and Facebook, if you have a reasonable number of visits. And if you don’t already have it activated, our recommendation is that you pay for CPC (Cost per Click) on Google Ads, Facebook Ads or product comparison sites. – Remember the huge potential of social networks. Apart from publicity, communicate everything you have prepared for Black Friday and Cyber Monday with attractive copy and creativity. However, the best thing about social media is that you can create expectation in very attractive ways. Take advantage of this. – If you have a recovery strategy for abandoned carts – which is highly recommended -, on this occasion you should pamper them more than ever: according to Barilliance, the rate of cart abandonment on Black Friday was 74.5% in 2017. – Take care of the fine details of your website. There is nothing more attractive than entering an ecommerce and seeing a striking banner with a juicy promotion. But don’t leave other options to one side, such as inserting pop-ups during the navigation. Think of it as increasing your dropshipping store’s sales in a type of pre-Christmas campaign! You’re not alone. Discover some successful case studies! Apart from the advice and help we provide from BigBuy with our own Black Friday and Cyber Monday, looking at other businesses that have run interesting campaigns is a good option. We provide a selection so that you can be inspired and achieve increased sales on your dropshipping store. W·A·U Brand: Its success rests on simplicity, impact, the fact that they offer more than one type of discount and, of course, the urgency to make the purchase created by the phrase “final hours!”. 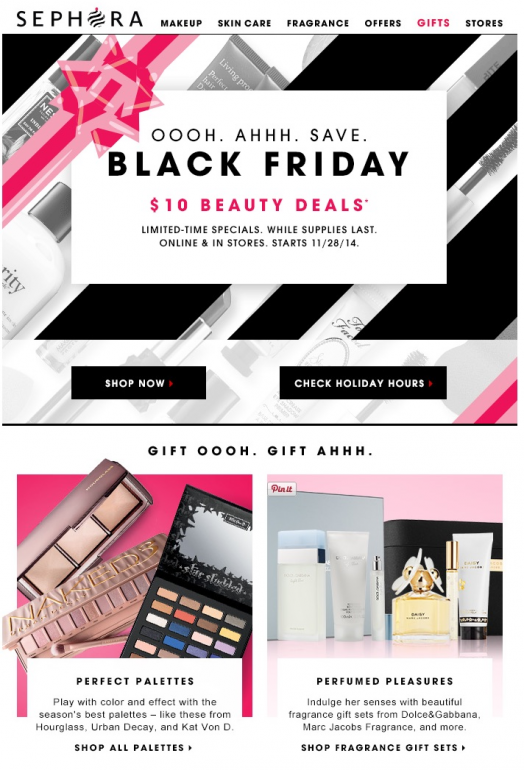 Sephora: An evocative and attractive email marketing campaign. The structure is simple, there is a balance between images and text – you don’t want to saturate your customers with information -, it has action buttons with contrasting colours and clearly displays the brand identity. Amazon: in 2017, the King of the marketplace created a different offer for each day of the week. The aim? Simply and plainly to keep users alert for the entire duration of the promotion. And it was a resounding success, as we mentioned at the beginning of the post! We’re sure that you have an idea in mind, so don’t waste time and start to create your strategy to increase the sales of your dropshipping store this Black Friday. If you’re still not sure what to do, have a look at our wholesale product catalogue and be inspired!